One of these could be yours. The rise in craft breweries has coincided with a rise in lost kegs, which is just the worst. The issue of lost kegs costs every brewers between $0.46 and $1.37 per barrel of annual keg production. 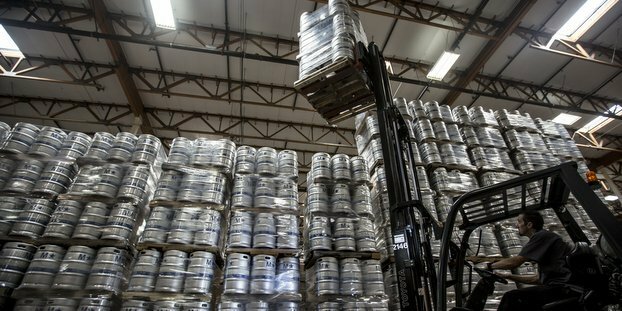 The high cost of keg loss directly impedes job growth, reduces brewer, distributor and retailer profits and increases the retail price of American-made beer. Many of these lost kegs are winding up at MicroStar’s quality services facility in Green Bay, Wis. For a limited time, the Brewers Association will pay one time freight charges to return any kegs currently in MicroStar’s inventory for BA member breweries that have not participated in the repatriation program (note that certain restriction apply). In 2013, the Technical Committee formed the keg repatriation working group. The group’s goal was to help educate and provide resources to help lower keg loss in the industry. The outcome from this group’s work was content now found on KegReturn.com. This site provides information to help consumers, homebrewers, retailers, distributors, brewers and scrap yards understand the issues surrounding lost kegs. The keg repatriation project also led to a partnership with MicroStar. In the normal course of business of keg leasing, service and repair, MicroStar receives and returns approximately 30,000 stray kegs per year. The company’s current stray keg inventory is more than 15,000 kegs, and they requested that the Brewers Association help facilitate the return of these lost kegs. Breweries can visit KegReturn.com to see if MicroStar has any of your kegs in its inventory. The list currently shows the number and size of lost kegs for more than 450 breweries. The next step is to contact Microstar to arrange for the return of your kegs.